A tented movie screening for a good cause. 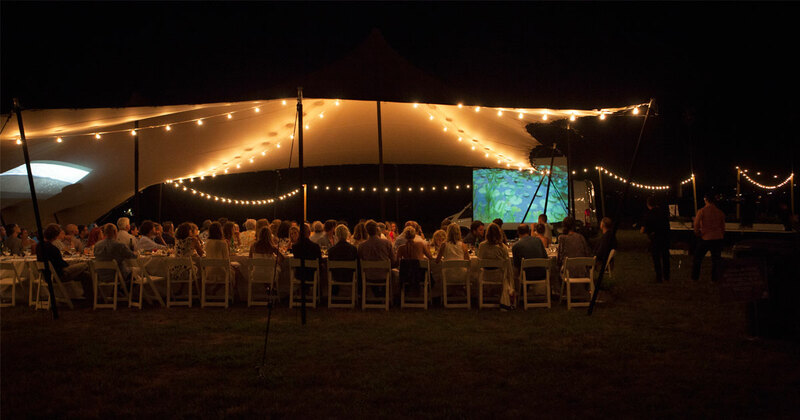 Kilobush was approached to provide a unique tented experience for a fundraising event held in Montauk, Long Island (NY) for the Surfrider Foundation. The Surfrider Foundation is a non-profit organisation dedicated to the protection of the world’s ocean and beaches. Through a powerful activist network, they’re involved in more than 90 campaigns at any given moment across the USA. How we created a Unique Tented Experience. The challenge? Create a warm, cozy and comfortable atmosphere for close to 130 guests. Thanks to the unique design and style possibilities for experimenting with color and lighting, Kilobush stretch tents was able to customize a rig that organically complemented the oceanside park. What made this event stand out was the live action movies projected onto the stretch tent surface, creating a thrilling aesthetic experience for the guests. The setup involved two 40’ x 50’ chino colored tents with one side dropped on each, with lighting supplied by Matt Murphy Event Lighting. 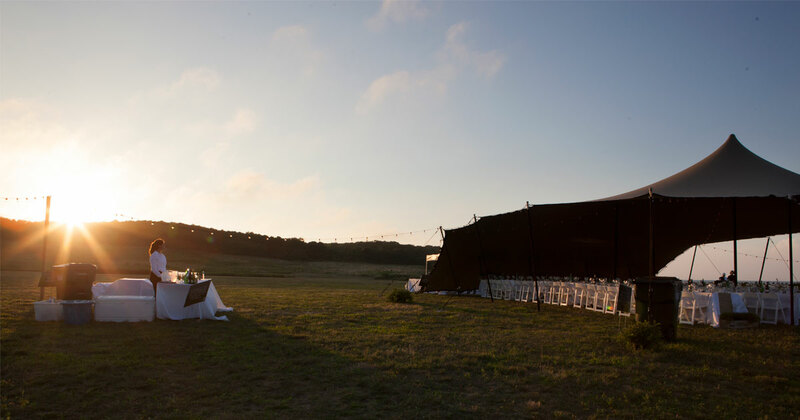 The sun sets in Montauk as the guests arrive. A movie clip is projected onto the tent. 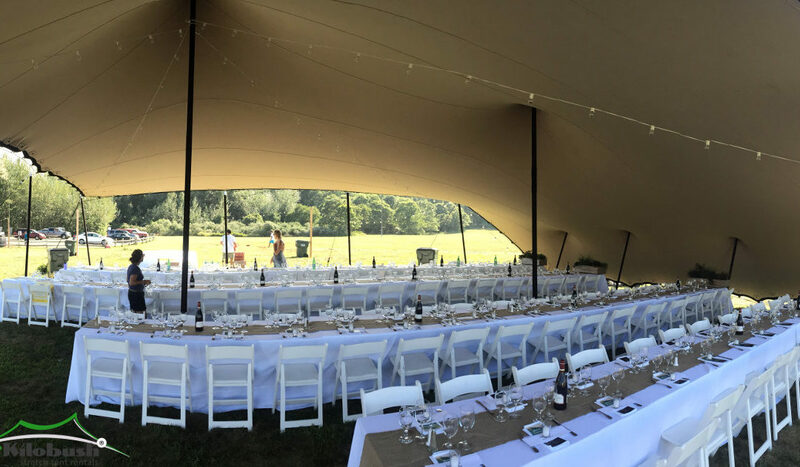 Create a Unique Tented Experience at your next event, let us show you how.